Discussion on Data Loggers, how to read your logs, what to improve, etc. I just bought a RPM Performance data logger and I'm in the beginning stages of the install. Could you guys tell me where do you have your O2 sensors at in your exhaust? The instructions say to put it 8" from the head exhaust flange. I'm wondering if I'll get a bad reading if I put it in the header extension. 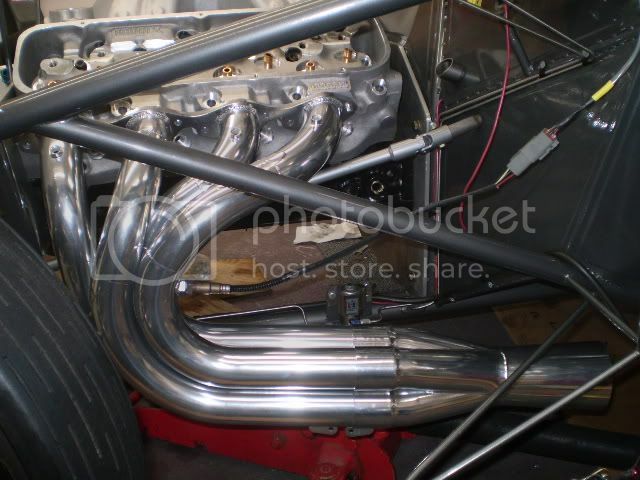 I already have a bung there because that is where the guys at the chassis dyno told me to put it. Last edited by NOVALOU on Sun Dec 19, 2010 10:55 am, edited 1 time in total. It need to be in the top half of the pipe from 9 o'clock to 3. If you do not have a full exhaust it must be several feet from the end of the pipe or reversion and fresh air will create false readings on the meter. Oh well, that's what I was afraid of. Thanks for the reply. Just add another bung, they are cheap $6. or something. The wideband Bosch sensor I installed (LSU4.2) is mounted just downstream of the collector. This is with a full length exhaust. My inquiries to Innovate resulted in a recommendation of 36-48" from the head, backed with infrared temp measurements. Innovates major concern seems to be that the sensor is not exposed to temps in excess of 900*F which will fry the poor thing. I installed mine 14" up from the exit on the header extension. I haven't ran the motor yet, but from what I've been hearing is the only down fall to this is a possible false reading at idle. You may have to install an extension to the head so the O2 does not see fresh air. As for heat we run them 18" from the turbos on motor making 1500 hp +.